Nomvula Mokonyane, South Africa's ex-minister of water and sanitation who mismanagement and 'plundered' the department. Photo: Wikipedia. Due to corruption and ineptitude, South Africa's water crisis is deepening. Water expert Anthony Turton is campaigning for successive ministers of water and sanitation to be criminally prosecuted. The ANC regime, which evolved from a former Marxist terrorist group supported by the ex-Soviet Union and East Germany, had no experience of government when it took over the country in 1994, and has simply proceeded to plunder public funds at will, causing a near-collapse of South Africa’s infrastructure. Successive directors general and ministers of water affairs have ignored or circumvented the country’s water legislation in not acting to stem pollution and the decay of water purification systems. The current ANC minister of water and sanitation, Gugile Nkwinti, “forgave” his predecessor, Nomvula Mokonyane, the mismanagement and corruption during her tenure, as well as that of her top bureaucrats. 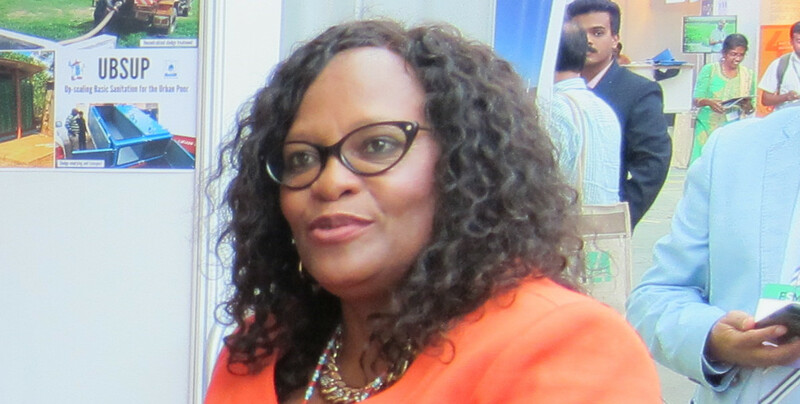 Turton feels that such a decision constitutes an “obstruction of justice” and both ministers should be criminally charged with contravening the National Water Act of South Africa. Together with Mr. Ray de Vries of the NGO, Water Shortage South Africa, he wants to have the minister, his predecessor and the top officials in the department of water and sanitation prosecuted.